This 5-strand surfer bracelet is the epitome of urban cool. Every strand holds its own dynamic charm and focal point. From the Magic Eye – said to ward off evil - to the large ornate Tibetan Silver bead, the Turquoise globes, silver tubes, the small, detailed feather and not forgetting the countless coloured wood and metal beads. This ethnic bracelet is guaranteed to attract attention when you wear it with anything and everything. It’s comfortable, it’s adjustable, it’s the ultimate in casual cool. 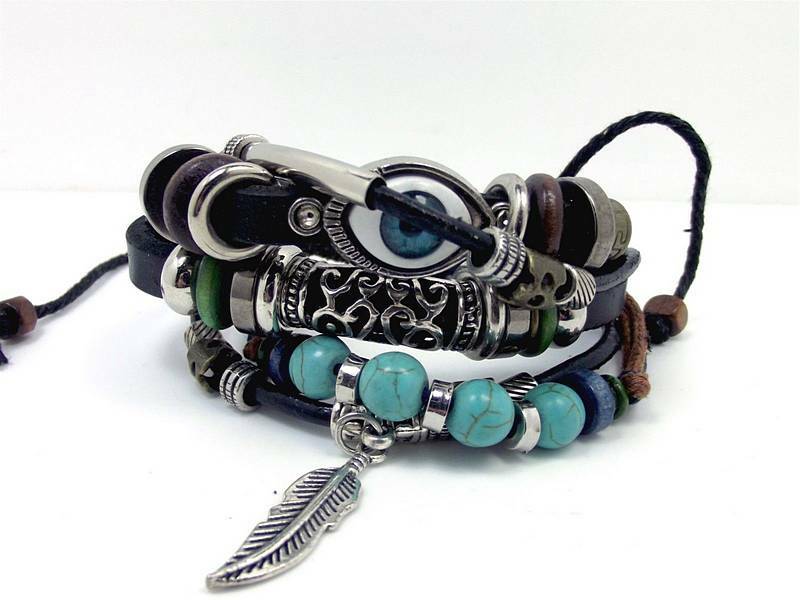 Genuine Leather bracelet adjusts from 6½” – 9”.